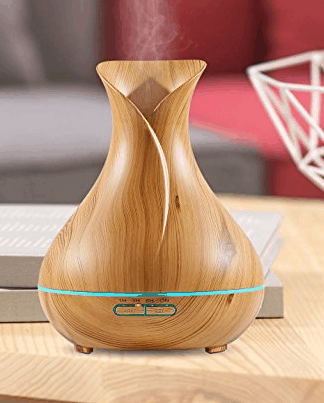 This diffuser/humidifier has a natural looking, light colored, faux wood grain finish, features advanced ultrasonic atomization technology as well as a contemporary design, making it perfect for the home or office. 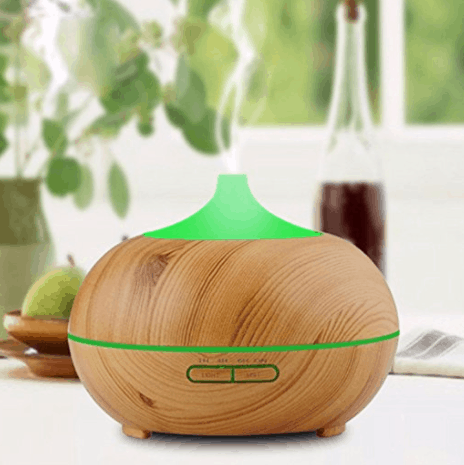 No heat is used, which maintains the integrity of the essential oil(s). 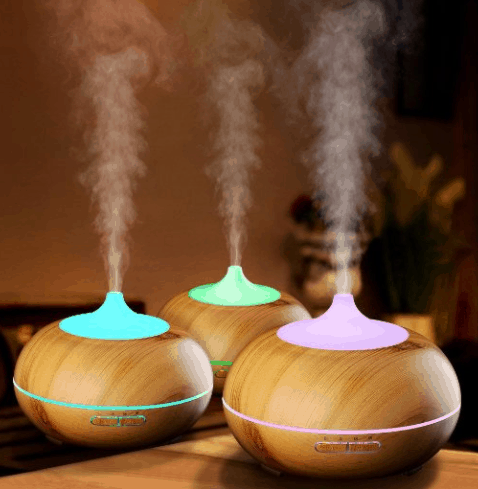 It diffuses for up to ten hours and then shuts off automatically. Unique Faux Wood Design. 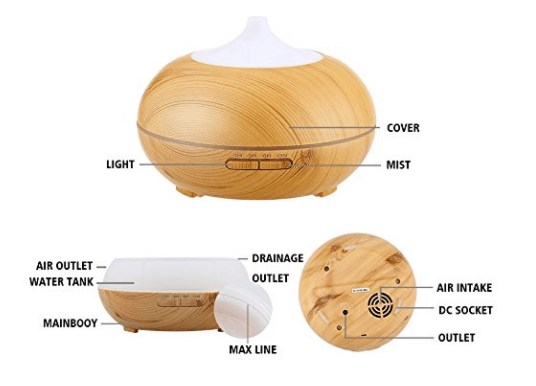 This aroma diffuser and humidifier is beautiful yet practical, and has an easily removable cap. Large Capacity and Great Mist Output. It can hold up to 300 ml of water and run continuously for 10 hours. 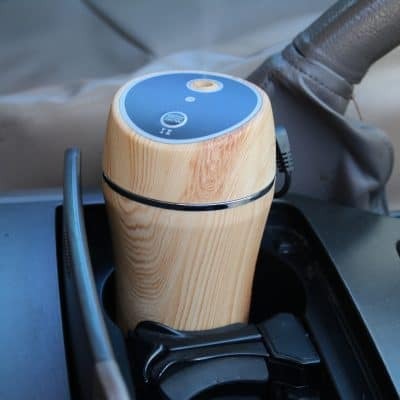 Automatic power off when water is used up, which ensures safety. Time Setting. 4 time setting modes：1 hour/3 hours/6 hours/ and continuous. 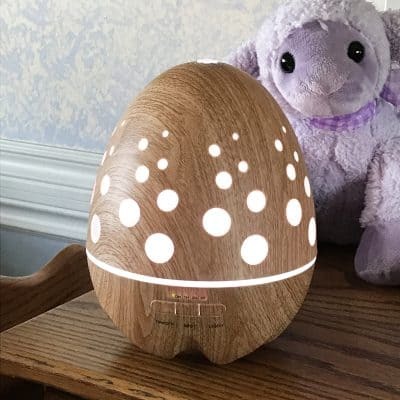 Stylish Design With LED Color Changing Night Light, 7 colors and two modes can be chosen: steady on/changing color. Each color is adjustable between bright and dim.